The levels of poverty and authoritarianism are higher in the Horn of Africa than anywhere else in the continent. Civil liberties are collateral victims. Prime Minister Meles Zenawi’s death in August 2012 and his replacement by Hailemariam Desalegn raised hopes of political and social reforms that would benefit freedom of information. Sadly, these hopes have been dashed. The repressive anti-terrorism law adopted in 2009 is a threat that continues to hang over journalists, forcing them to censor themselves. Media that dare to violate the code of silence, especially as regards government corruption, are systematically intimidated. Five journalists are currently detained in Kality prison on the outskirts of Addis Ababa. Two of them, Woubeshet Taye, the deputy editor of the Amharic-language weekly Awramba Times, and Reyot Alemu, a columnist with the national weekly Fitih, have been held for two and a half years, since their arrest in June 2011 on terrorism charges. There is no sign of any loosening of the vice that grips the Ethiopian media and the regime is unlikely to tolerate criticism before the elections in 2015. Djibouti is a highly strategic regional crossroads. Because of its economic and geopolitical advantages, it is easy to turn a blind eye to the dictatorial methods used by Ismail Omar Guelleh, who has ruled since 1999. Under Guelleh, Djibouti has steadily cut itself off from the outside world and suppressed criticism. The list of journalists who have been jailed and tortured gets longer and longer. Releases are only ever provisional. The journalist and Guelleh opponent Daher Ahmed Farah is a case in point. He has been jailed five times and arrested a dozen times since returning to Djibouti in January 2013. The concept of independent media is completely alien to Djibouti. The only national broadcaster, Radio-Télévision Djibouti, is the government’s mouthpiece. The few opposition newspapers have disappeared over the years. There is an independent radio station based in Europe – La Voix de Djibouti. Two of its journalists have been jailed in the past 12 months. 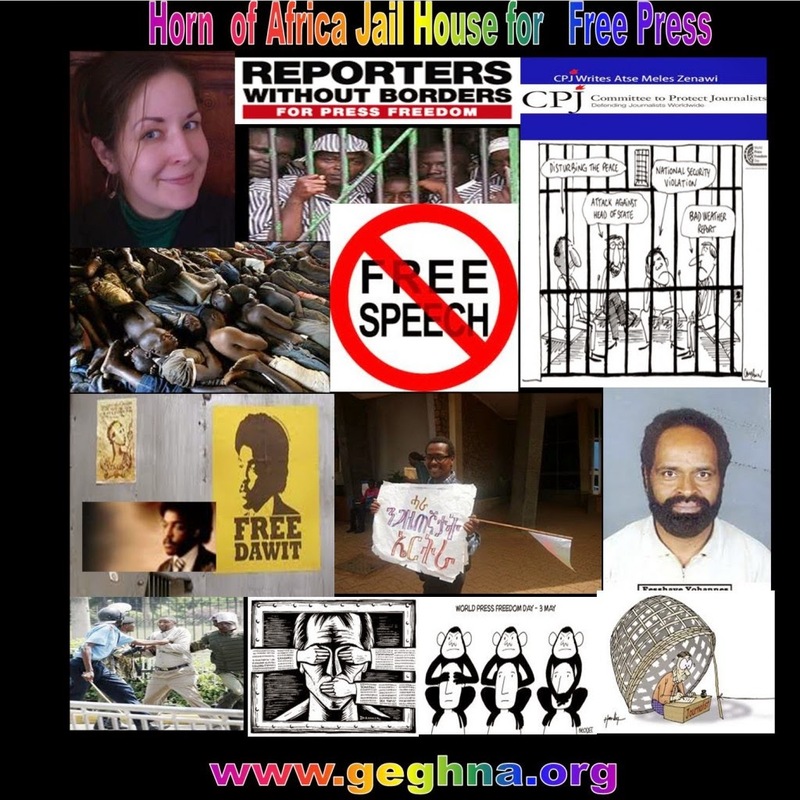 Ever since President Issayas Afeworki closed down all the privately-owned media and jailed 11 journalists in 2001, of which seven are reported to have died while in detention, Eritrea has been Africa’s biggest prison for the media. A total of 28 journalists are currently detained. There are no longer any privately-owned media, and the state media are subject to such close surveillance that they have to conceal entire swathes of contemporary history such as the Arab Spring. Accessing reliable information is impossible in the absence of satellite and Internet connections. A few independent radio stations, such as Radio Erena, manage to broadcast from abroad. Those who had seen some improvement in Somalia were quickly disabused. Journalists still trying to provide objective news coverage are targeted by both terrorists and security-driven government officials. In 2013, seven journalists were the victims of terrorist attacks blamed with varying degrees of certainty on the Islamist militia Al-Shabaab. In November, Al-Shabaab deprived an entire region of television by seizing satellite dishes on the grounds they carried images that did not respect Islam. Information is seen as threat. Unfortunately, the Somali government does not help. On the interior minister’s orders, police evicted Radio Shabelle, winner of the 2010 Reporters Without Borders Press Freedom Prize, from its building and seized its equipment in October 2013 after a series of reports criticizing the upsurge in violence in Mogadishu. It was a double blow because the station also used the building to house its journalists, for whom moving about the city is very dangerous. When the equipment was returned a few weeks later, it was so badly damaged as to be unusable. Not that the station is authorized to broadcast anyway, because the communication ministry refuses to give it a permit.